The sun has been shining and I’m just feeling the Spring air. I can’t get enough. Loads of cool things have happened so I’m going to go through them all briefly. 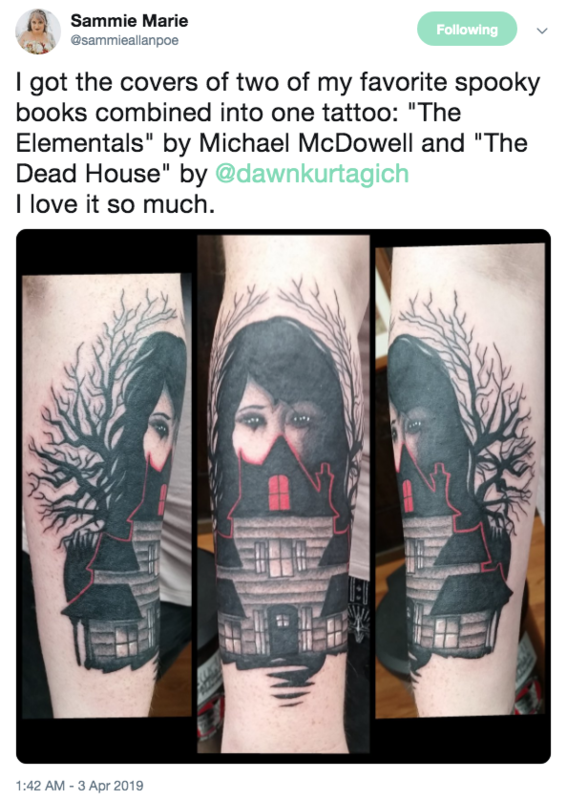 Firstly, a reader got the cover of THE DEAD HOUSE tattooed on her body! I am in awe and utterly mesmerised. Doesn’t it look cool??! I never in my wildest dreams thought this would happen (except me doing it to myself, maybe!) Shout out to Sammie Marie for being my first reader tattoo! So pretty! I think it will add to the spooky, Victorian vibe. One thing I realised recently was that Vic-Lit was a thing (Victorian Literature—books written in that period and style), and that large parts of TEETH fall into that category. Niiiice. The audiobook recording of TEETH is going well. And this time it has been so much fun, because my audiobook producer has been keeping me in the loop and even sending me snippets of the actors reading the book! I swear, I have chills. Real, huge, CHILLS. I had a video chat with two of the utterly amazing women working on the audiobook, Elece and Michelle, and it was like talking to family. L-R Elece and Michelle and a teenie, tiny me! I’ve been getting awesome blurbs for TEETH, but I can’t share them yet. Instead, I’m going to share the amazing Kirkus review that TEETH got recently, which was so, so lovely and welcome! Other than that, I’ve been working on the pre-order gift I’m going to be giving you guys. There will be 20-30 boxes of amazing things for you guys to win, but there will also be items that every single person who pre-orders will receive. It’s the biggest and best I’ve yet done! I’ll be sharing more on my social media, so don’t forget to give me a follow there to stay in the loop. 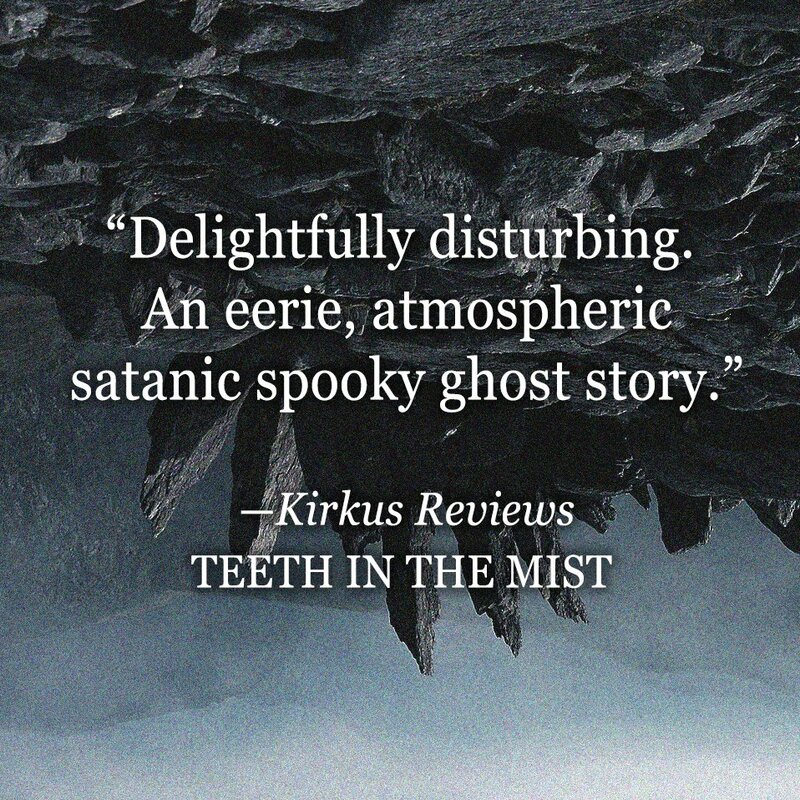 TEETH IN THE MIST YA HORROR FANTASY GIVEAWAY!